Canada’s nationwide cannabis legalisation has Hemp in the News this week. The law changes are opening up opportunities for Canada’s hemp industry, as farmers are no longer limited to harvesting only the seed and fibre of the plant. With the new laws in place, farmers are now permitted to harvest the whole plant, including the flowers, branches and leaves. It’ll be a whole new learning curve for farmers as they need to test out methods of harvesting, storing and drying the new plant parts. The new law was put into effect on Oct. 17, making hemp and marijuana legal. Although hemp and marijuana are both species of the cannabis plant, they differ greatly with regards to THC content (the psychoactive component.) 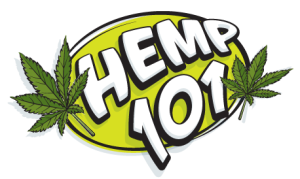 Where marijuana has a THC level of between 10-20 percent, hemp contains no more than 0.3 percent.